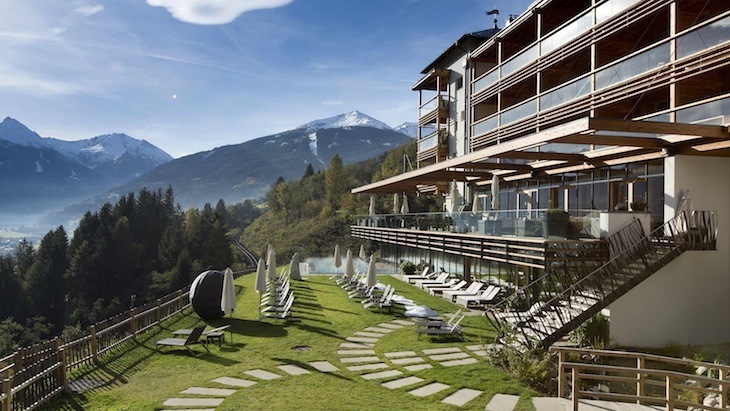 The nature and design hotel Das.Goldberg offers exclusive relaxation surrounded by an alpine panorama. Looking out over the rooftops of the spa resort of Bad Hofgastein, the family-run hotel features local materials such as wood and natural stone, along with design elements and a wide range of comfort features: the ski slope is right next door, the High Tauern National Park is located nearby, and the hotel and natural spa enjoy a view of the Gastein mountains. 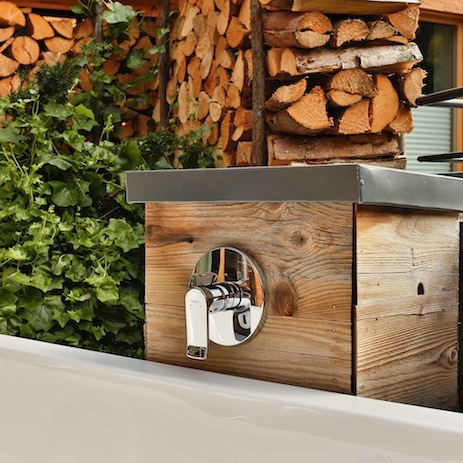 Hansgrohe bathroom mixers and showers complement the design concept perfectly. 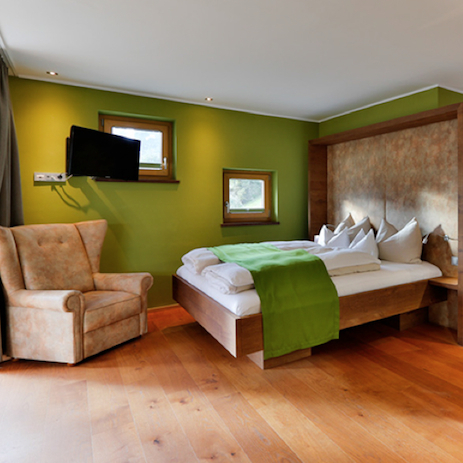 Crackling fireplaces and plenty of wood create an alpine ambience in the 67 rooms and suites. 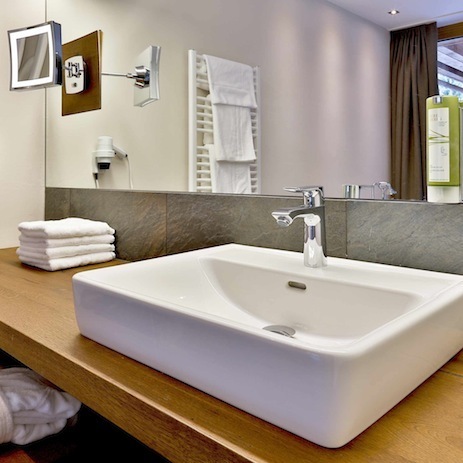 By contrast, the bathrooms feature a very modern concept, including glass walls and a free-standing bath tub in the suites: the interior designers opted for Hansgrohe Metris mixers with the ComfortZone, which were selected to suit the installation site. These are installed on the basins at the usual height and, combined with the counter top wash bowls, they offer optimum convenience with extra space. The showers feature Hansgrohe Croma overhead showers. Hansgrohe concealed thermostats guarantee that the water is at the right temperature at all times. 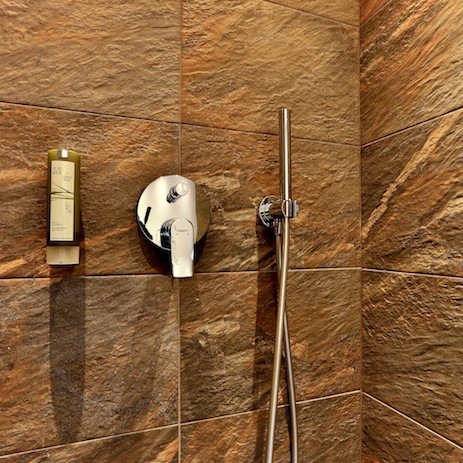 The minimalist, modern design language of the mixers and showers adds a touch of harmony to the elegant yet rustic bathroom ambience, which features the use of rough stone from the region. 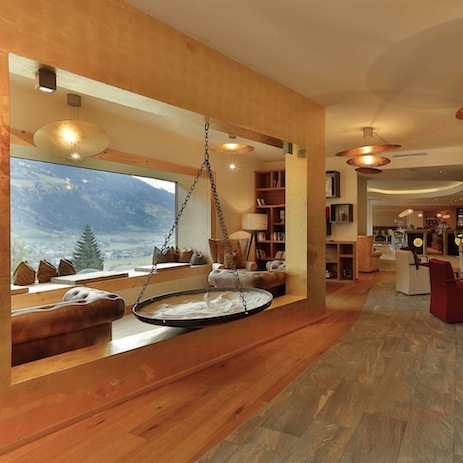 The 4-star superior hotel, which is situated at an altitude of 930 m, impresses its guests with some exceptional design features, both inside and out: these include a golden wall with a waterfall in the lobby along with a huge pendulum, which gently draws patterns in the sand to symbolise the preciousness of time. The garden contains gold digger sculptures, a reference to the region's gold mining history, and a modern infinity pool offers a contemporary spa experience.